Our gratnell tray cupboards range offer a selection of secure storage cupboards with coloured tray options. Choose from the High Capacity Cupboard or the Teachers Cupboard. Both are ideal for storing small to medium sized items. Gratnell trays are removable so great for use in business or school environments who operate a 'clear desk' policy. Multiple trays allow documents to be filed away easily and locked away at the end of the day. Gratnell tray cupboards come with 3 point locking, reinforced doors and a choice of either red, blue or opaque gratnell trays. 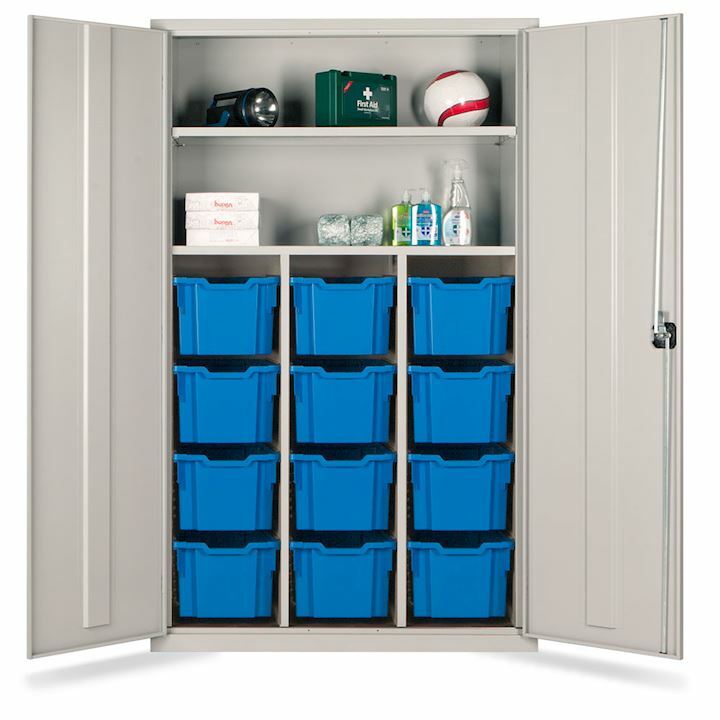 This unique and exclusive cupboard offers a high density removeable tray storage solution. Separate small sized items within a secure cupboard. Robust gratnell trays made from storng polypropylene are supplied in a three column configuration. Each tray can be fully removed to a remote working location. 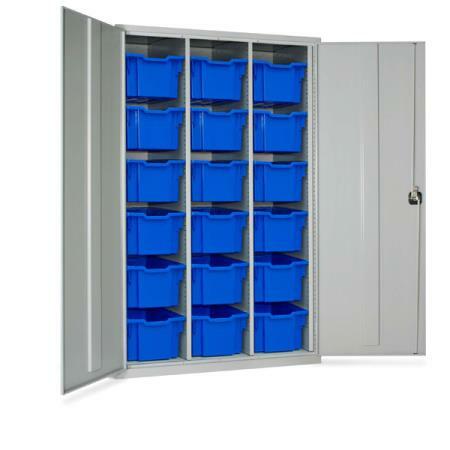 Teachers tray cupboards are also suitable for segregating small sized items or paperwork. Ideal for use in classrooms with 3 point locking for security. Three sizes of gratnell trays to choose from including 75mm shallow, 150mm deep or 225mm extra deep. Comes with two upper storage levels with one adjustable shelf. Please Note: All trays and runners are delivered separately from the cupboard.